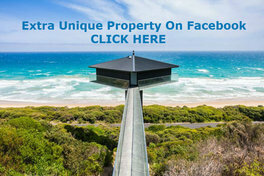 Unique Property Bulletin has dedicated this webpage to those considering a change of lifestyle to a more interesting way and pace. Rudders Boatyard and with it, Badger Cottage combine a detached coastal home with an established commercial boatyard, boat workshop, 60 deepwater swinging moorings, slipway launching pontoon, deepwater landing pontoon, all tides boat slipway, 65 feet of quayside, chandlery, boat sales brokerage, RYA training centre, rigid inflatable boat charter, work vessels and much more. 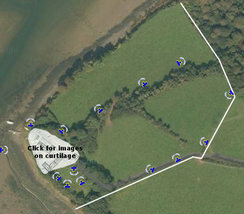 There are approximately 10 acres of land and around half a kilometre of river frontage included in the sale. This sort of land/building/business parcel is genuinely rare – even by Unique Property Bulletin standards. In 25 years of the Unique Property Bulletin, this is one of the biggest summary lists we have reproduced. With admitted bias – there is maritime in the old DNA at this end. The following précis is redolent with line by line opportunity to enjoy a new occupation with relish. Full workshop facilities. Large Boatshed, workshop & mezzanine floor. 60 Deep water swinging moorings: click here. Pontoon, 65ft quay wall, leaning posts and slipway. 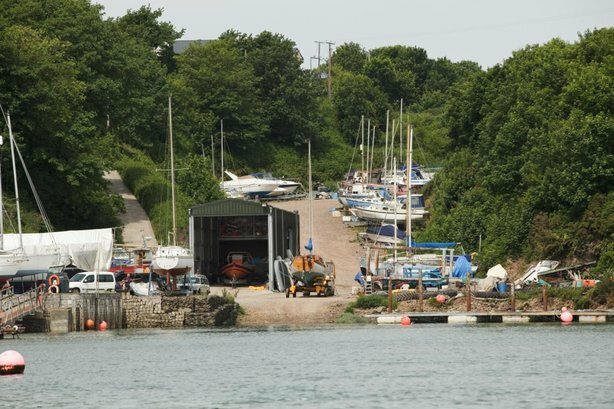 Boat launch, lifting and dry storage – ashore for 200+ boats. Slipway useable at all states of the tide. Deepwater pontoon, leaning posts and 65ft quay wall. Hire & charter of RIB for lunch at one of numerous restaurants with pontoons on the Haven. Run a beach or Island wildlife trip, diving, towables, water skiing & wakeboarding, etc. There are no speed limits from just upstream of Rudders, all the way past & through to the open sea. Professional charter: 12 passenger boat, 12 passenger amphibious, plus the RIB. Bow thruster fitting, anchor windlass, stanchions, pull/pushpit supply and fit. Quick lift hold, powerwash/ antifoul/anodes and re-launch. 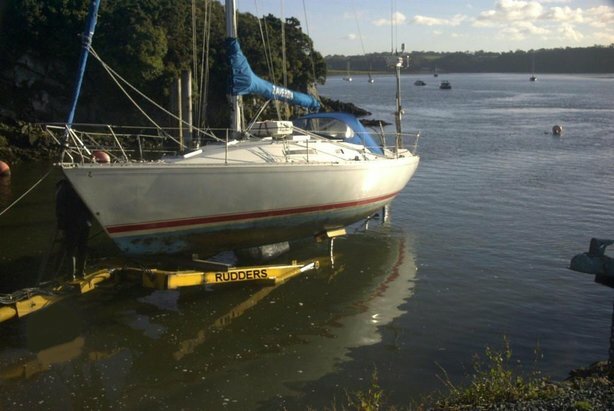 ‘On demand’ dry berthing, launch and recovery service for sportsboats & trailer sailers. Engine installation, service, repairs and diagnostics on all makes and models of engines. Outboards: Tohatsu Dealer, plus service other makes of non warranty outboards. Inboards: Supply and fit: Nanni, HMI Hitachi & Beta Marine Inboards (others on request). Moorings made, lifted, laid and serviced. Breakdown/recovery service on Milford Haven. Other repairs/specialist work available on request. Commercial: Specialist barge, 11 metre Halmatic workboat, amphibious craft and RIB with 90hp 2015 four stroke engine. All are available for hire and charter. They are approved to apply various commercial International Paint products and offer shot blasting, grinding, welding, electrical, fendering, concreting, winching & lifting services as well as owning a 14 metre reach cherry picker and diesel generator for when work is required under the many jetty piles downstream. All craft mentioned are fully MCA (Maritime Coastguard Agency) coded. 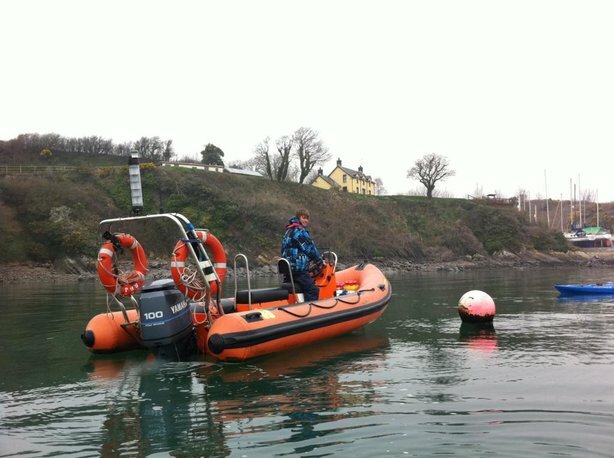 The RIB can be used as an approved safety boat for jetty work, inspection, etc., and the workboat often specialises in the lifting and laying of leisure moorings. Tuition (subject to continued availability): click here. If you have teenage kids, this may be one way to get them off of the hours spent glued to the internet or computer games and get some exercise! In all seriousness – and admittedly long before the internet and all that goes with it – I was lucky enough to grow up on an island where there was a great deal of recreational and healthy outdoor activity to take part in. Even now, some decades later when having a thoughtful reverie, the old mind goes back to those summer days out on the boat fishing and reading. My brothers were more adventurous with the kayaking and water skiing. One thing for sure when living by the waterside – we all loved restoring old boats and engines. A great way to grow up. I will be forever thankful to my parents for that upbringing. 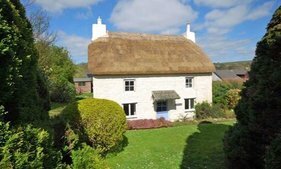 Badger Cottage sits in a wonderful open country setting, with magnificent views of Haven waterway and beyond through to the Preseli Hills. 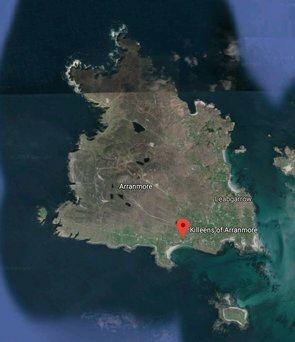 It is in a completely secluded position with the nearest neighbours being some 1/2 kilometre away. Badger Cottage is currently used as the boatyard vendors’ home. 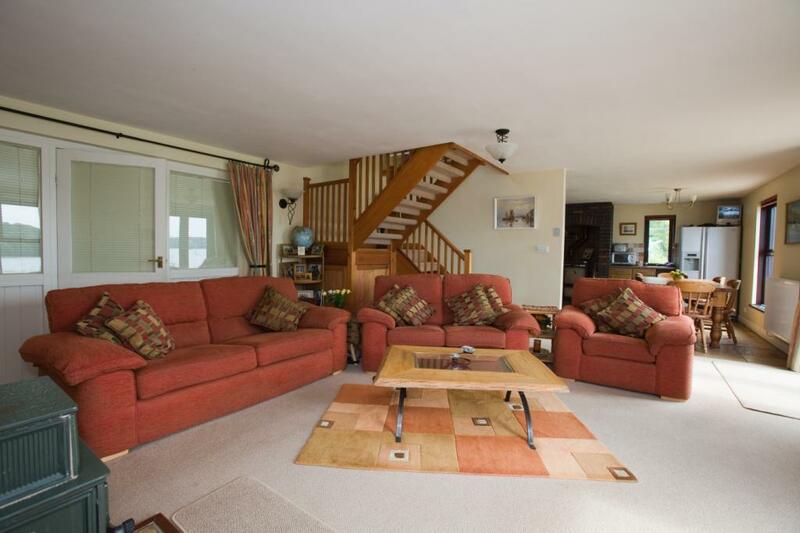 However it does offer potential as a holiday letting unit. A most attractive waterside residence that has been built to an individual design. 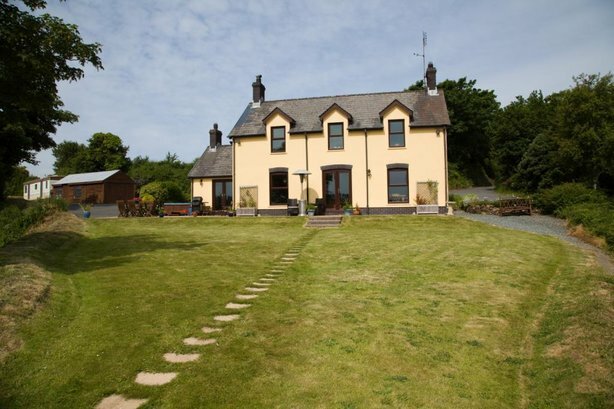 It enjoys an outstanding location with extensive river frontage. Example of Badger Cottage Interior. For Full Details Just Email: Click Here. 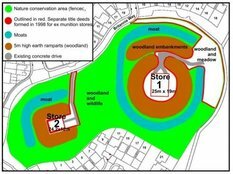 There is also potential to extend the property (subject to planning permission) if required. With four bedroom, large living area, and practical kitchen accommodation with all principal rooms taking advantage of the picturesque views. Further details – room descriptions sizes etc – on request: Click Here. 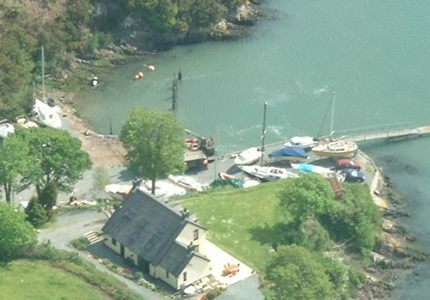 “Rudders” was a Fish Farm until approximately 1983 when planning permission was obtained to create Rudders Boatyard, and to build Badger Cottage under a section 52 planning agreement. The vendors Alastair and Liz Pollard purchased the business in November 1999. 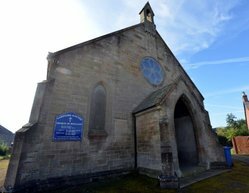 At this time the turnover was around £20,000 per annum. During their first 10-12 years involvement, they grew the business an average of a very impressive 30% year on year. The husband worked on this very profitable growth while his wife committed about an hour each day to run the books along with raising the family. During the poor economic climate and lull in business, the existing staff have been handling pretty much everything (including the books) while the owners have been enjoying a semi-retirement financed by the proceeds from the business. (They have been cruising their catamaran and skiing, etc. for as much as 8 months a year during the past four or five years!). Things are picking up again nicely now so new owners can choose to take a fun “sleeves rolled up” approach of their own, and/or start recruiting more staff…. or keep things just as the current owners like it, the way it is now. A brand new industrial grade boatshed was built in 2008. It is 25 metres long by 6.2 metres wide by 6 metres high. It has two full height electrically operated roller shutter doors and one personnel door. The two roller shutter door design allows for large deep drafted yachts to be brought in with the travel hoist which can then exit via the side door. It also allows for multiple projects to be handled with minimum disruption. 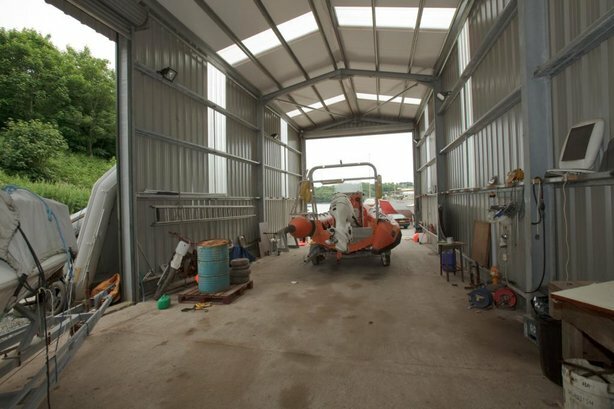 The boatshed has the benefit of a fully insulated roof, plenty of natural light from the roof & wall skylights, modern bright low energy lighting, numerous 13amp sockets, water, airline, lifting points and has a concrete base. The low energy floodlighting that has been mounted on three sides of outside of the boatshed is able to light up the whole of the boatyard and can be set to automatically turn on at night as required. There is a security camera to the house with movement sensor, sound and voice plus night light infra-red and telephone dial alarm system with remote key fob. Another of the numerous income streams at Rudders Boatyard is the pontoon. A permanently deep water (27ft Low Water Springs) hammer head style landing pontoon with bridge section attached to davits, a 60ft quay wall & leaning posts for various sized vessels are installed. Fresh water supply to the hammer head and a camera on the davits with a video feed, audio, and sensor alarm to the cottage. Moving on to further revenue generation, the natural slipway is almost unique in the Haven as it is firm, stays clear of mud/ weed, works at all states of the tide, and the bay protects it from cross winds & currents. The Boatyard is positioned within a valley & therefore completely sheltered from all prevailing winds except the rarer Easterlies. 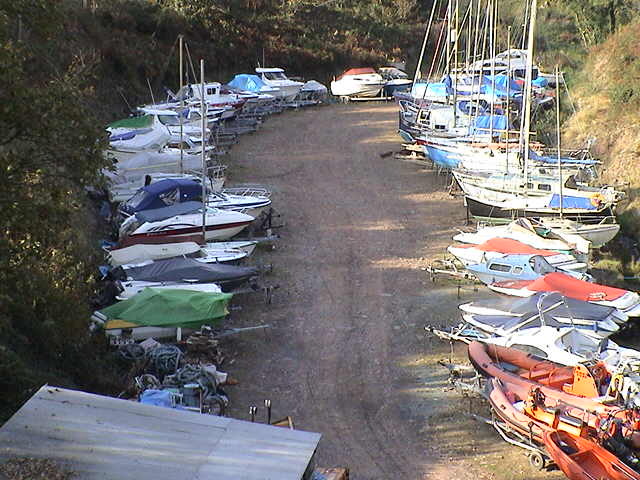 A total of about 100 boats are currently being stored/wintered ashore. This can now be increased by a further 100 vessels if the space available is reorganised, or substantially more if a stacking system were Installed. A versatile tractor or the MatbroTele handler is used for launching boats on trailers. There is a specialist hydraulic boat hoist for all the larger vessels. There is some 60ft of quayside that has accommodated vessels up to 100ft in length. 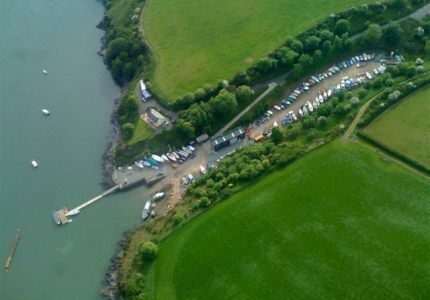 Annual mooring holders are currently able to use the quay wall free of charge, with £20 per day being charged for other vessels. 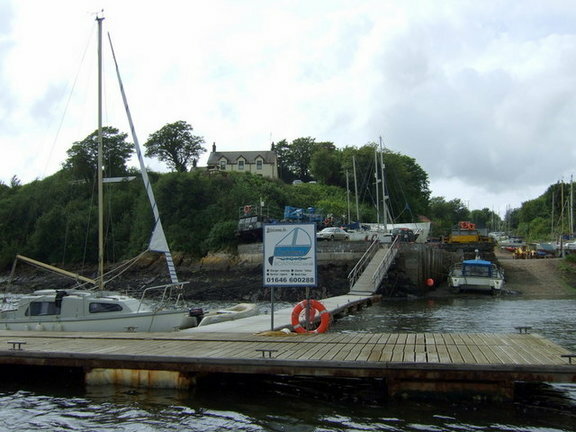 A large anchor is situated near the bottom of the steps to the cottage for customers to safely secure their mast/ high point on vessel when drying out & leaning their yacht/ motor vessel to the wall. There are a total of four leaning posts which can either berth two large vessels that can take the ground either side, or multiple small yachts. The Rudders Bay is used for vessels to dry out, for the assembly & preparation of moorings, storage of anchors & sinkers, etc. All these areas are very sheltered from all but the infrequent Easterlies. Beautiful sea views and delightful walks…. 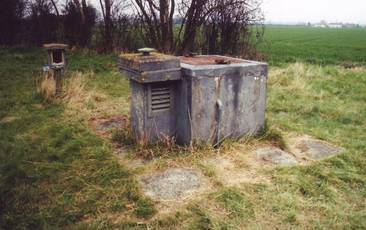 The whole of Burton Cliff is included in purchase. 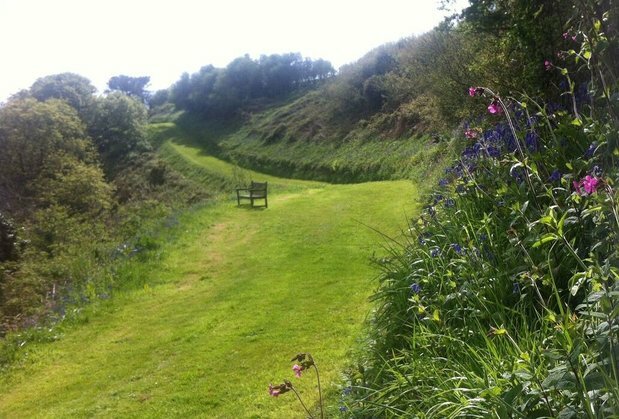 The owners have maintained it as a beautiful private country walk but the possibilities could be numerous with the up and coming fashion of “glamping”, fishing (bass & mackerel) or outward bound type activities – subject to any permissions of course. Yachts, catamarans, trimarans and motor boats without trailers are lifted out using a fully hydraulic 15 ton capability Knipstra Roodburg boat hoist. Connected to the front end of the Matbro Telehandler this can swiftly and safely haul boats out at any state of the tide and park them with precision (just inches apart if required) anywhere in the yard. It is also designed in such a way as to be able to pick up a custom built cradle complete with yacht and there are a number of wooden boat cradles around the yard which allow large motor boats to be parked & launched in just a few minutes, no chocking required. Masts can be lifted off using a special attachment to the Matbro Telehandler. They are also worked on using a Genie 14 metre reach self-propelled cherry picker (man access platform) to access i.e. The top of masts. There is also a basket that connects to the forks of the MatbroTele-handler. Other uses for these include the maintenance of the boatshed, painting of high top sided vessels, lifting out & installing engines, etc. Either can also be transported and worked on the water/beaches/under jetties with the M2D Amphibious barge called RB6. There are currently 60 deep water swinging moorings, with room for more. All Rudders’ own moorings (and many others) are serviced annually by the boatyard workboat. Rudders are the leading leisure mooring maintenance company in the Haven and the 11 metre workboat called RB1 is specifically designed for this purpose. It has a purpose built bow roller and 5 ton hydraulic “Super Winch” fitted to the deck, using the latest hi-tech dyneema winch rope to lay/ lift/ service moorings.The amphibious craft is also used on larger jobs or to transport up to 8 moorings at a time. A total of some 200 moorings are serviced and maintained by Rudders. 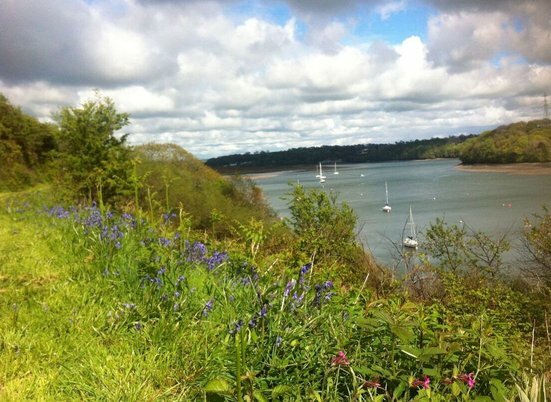 New moorings are also made up and laid & serviced throughout the Haven and beyond towards Tenby. Rudders has built up a great selection of vessels available for pleasure or commercial activities. These include the dual role 11 metre diesel engine motorboat, a Humber Destroyer RIB with 2015 90HP four stroke Tohatsu, an 11 metre amphibious barge with crane, cherry picker and generator, 11 meter work/ passenger boat and the various dinghies. 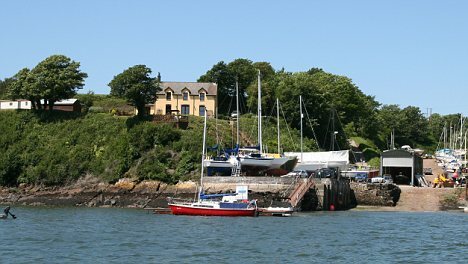 For three years Rudders Boatyard ran a pilot “Haven Link” waterbus service spearheaded by Pembrokeshire County Council. The future for this service with current funding constraints remains unclear in the current economic climate. However, as a result of the excellent publicity the yard has received from this initiative, boat trips are often now run on an appropriate vessel as a result. Rudders has become very successful at working its amphibious barge RB6 for leading construction and painting firms. With a cherry picker or hi-ab crane fitted to the deck, it is possible to reach high up under the jetties to carry out essential works. They are also able to transport up to 10.2 tons. An associate with an identical craft is also regularly contracted in where more than one craft is required or for even more specialist work. A range of courses and skippered or bareboat charter can be offered via the RIB or 11 metre motorboat. RYA recognised Powerboat Tuition currently includes levels 1 & 2 & safety boat on RIB RB3, or 11 metre displacement boat RB1. Water ski and wakeboarding tuition or tow sessions are provided using the RIB RB3. Rudders Boatyard offer a variety of vessels for hire and charter with or without a professional skipper, instructor or crew. This is an 11 metre boat with 130hp diesel Perkins Sabre Engine. MCA safety coded for two crew and 12 passengers or cargo, up to 60 miles offshore. Skippered/ bareboat hire/ charter available. This is a very versatile boat, modular in design so components are easily removed. Has removable seating cargo or passenger space is maximised by the engine being fitted so far to the rear of the vessel. Stability is enhanced by the cargo or passengers being at or below sea water level. As a workboat, fitted with powerful winch to lift moorings or carry cargo, equipped with removable davits for carrying a dinghy at the stern. This is a very capable vehicle/ barge and has many different revenue generating capabilities: Click Here. A Humber 5.3m (8 person max) Destroyer RIB with a 2015 90 HP four stroke Tohatsu outboard and roller coaster trailer. Fully MCA safety coded. Used for tuition and towing for wakeboarding, waterskiing and towables. 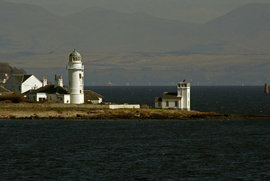 As well as fishing, diving, emergency tow/ rescue and safety boat work. 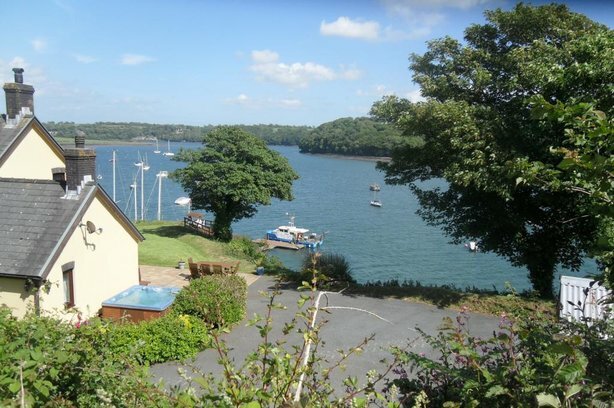 Both Badger Cottage and the boatyard have the benefit of its own well and spring water supply, so enjoy savings of up to 95% on normal water company charges for boatyard and cottage usage. 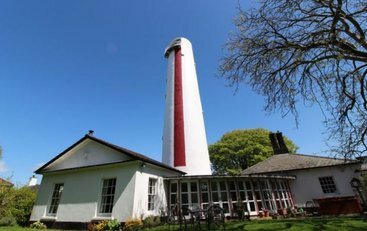 Water is pumped from the well and passes through a UV filter in loft filling a total of four water tanks which fulfil all the requirements of both the cottage and the yard. So as to avoid costly Environment Agency drinking water tests, a separate regular metered mains water supply was installed in approximately 2007. This acts as a back up to the spring water header tank supply, plus is piped to “drinking water only” taps in Badger Cottage and Rudders Boatyard. It has also been set up as an emergency high pressure fire hose to both the home and boatyard buildings. New external double glazed windows & doors were fitted in 2006 under a 10 year guarantee. Cottage exterior walls were re-rendered in 2004. A modern high efficiency condensing central heating boiler & complete hot water & radiator system was installed in 2009. The boiler (located in cupboard in utility room) was carefully specified & located to be able to be “turned up” to handle an existing house extension if so desired. Also has the benefit of an attractive back up oil or solid fuel fired Stanley oven/ central heating system installed in the kitchen. 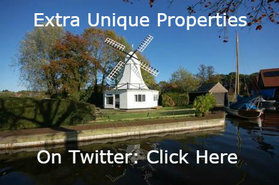 Rudders Boatyard & Badger Cottage is not for sale with any estate agency at this time. 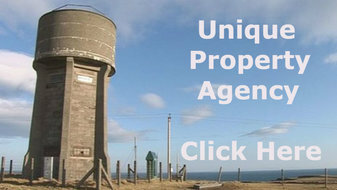 The owners are selling their property directly. In relation to this Unique Property Bulletin presentation, the owners of Rudders Boatyard and Badger Cottage have asked that anyone interested in more information/details/pictures, or who would like to arrange a viewing please contact them via the Unique Property Bulletin email page: Click Here. Guide: £1,999,500. Stock in trade will be included in the sale price along with the many “Aladdin’s Cave” type items too numerous to mention that the owners will be willing to leave behind. Note from Unique Property Bulletin – it may be worth discussing SIPP pension options as part of your funding package to buy this asset backed business. A SIPP protocol may help unlock the finances to enable this opportunity to be realised. SIPPs are flexible and are portable so well worth studying this option as following the world financial crisis, banks are becoming less and less the first port of call to assist with the purchase of businesses. Financial Report & Asset Register are also available, subject to the appropriate confidentiality agreement with the owners: Click Here. All descriptions contained are given as an opinion and not as a statement of fact. Prospective purchasers should rely on their due diligence and own enquiries before submitting a formal offer. All photographs only show the subject at the time of the taking of the photograph and do not necessarily represent the property in its present condition, appearance and surroundings. 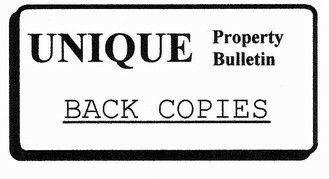 Subject to contract.